Major Perk facial shoutout in The Atlantan. We're proudly the only spot to get this 30 minute service in town. Read all the love here. Honored to be named Best Eco-Friendly Facial in Allure again this year. We're amongst great company. The name might be off, but the title is spot on. 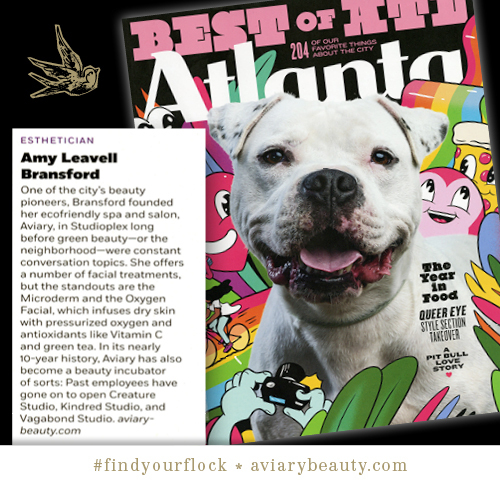 Congrats to Dee on this Best of Atlanta honor from Creative Loafing! 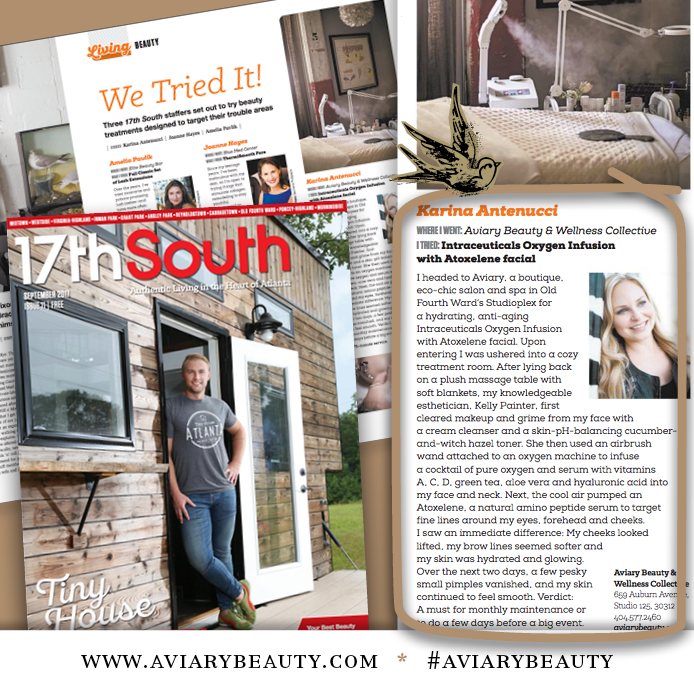 17th South Magazine - We Tried It! April 01, 2017 / Amy Leavell Bransford, L.E. March 29, 2017 / Amy Leavell Bransford L.E. February 06, 2017 / Amy Leavell Bransford L.E. December 14, 2016 / Amy Leavell Bransford L.E. September 12, 2016 / Amy Leavell Bransford L.E. May 10, 2016 / Amy Leavell Bransford L.E. February 10, 2016 / Amy Leavell Bransford L.E. November 11, 2015 / Amy Leavell Bransford L.E. October 09, 2015 / Amy Leavell Bransford L.E.